Last year, thousands of penguin chicks starved to death in Antarctica. Researchers have been observing the Adélie penguin colony for more than 50 years — and in 2017, all but two chicks died in what the scientists called "catastrophic breeding event". This is the second time in four years that this critical penguin population has been devastated. In 2013, the colony —then numbering more than 20,000 breeding pairs — failed to produce a single chick. Climate change is altering these penguins' already-unforgiving Antarctic habitat, changing precipitation patterns and temperatures in dramatic ways. Tragically, those changes have a body count. These Adélie penguins are dying by the thousands — and if these beloved birds are to survive, they are going to need our help. That&apos;s why Care2 is joining the call with leading scientists and conservationists to create a new protected marine area so penguins at least don&apos;t have to compete with commercial krill fisheries for food. 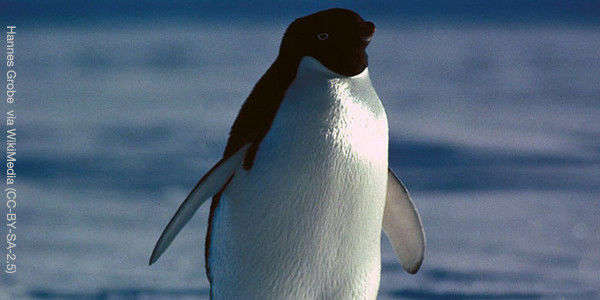 Help save these penguins — sign our petition now and urge the United States government to support a new protected marine area for Adélie penguins in the Antarctic.